Amazing staff, clean, tidy, great social vibe and the best breakfast I've had in 4 months! Loved the Beehive so much! Best hostel breakfast ever, very social vibe, good and cheap Spanish lessons, both indoor and great outdoor common areas, friendly staff, I was sad to leave! Perfecte plek om spaans te leren en mooie mensen te ontmoeten. Hostel with the best atmosphere! If you want to meet new people go to beehive. A lot of people in the hostel follow Spanish courses (either in the hostal or with another school), so you can make your homework in the garden with the other students. I ended up staying here for 2 weeks because I really enjoyed the vibe and the people i've met. Also the breakfast is AMAZING (the fruits&oats were so so yummy). Kitchen is really big and the movie night on Sunday is very cosy. Would highly recommend!!! 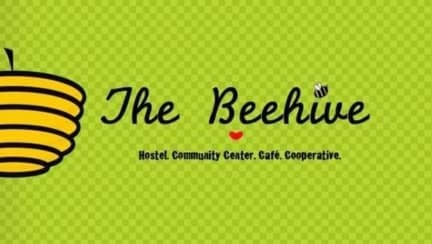 Beehive is an amazing hostal; the building is beautiful, the garden and places to hangout are great. WiFi is okay, the bed that I slept in was old and not really good. But it was an extra bed, according to my friends the bunk beds were fine. Breakfast is delicious and the staff is friendly and helpful! Nice and quiet hostel with extremely good breakfast! Heel erg fijn hostel om wat langer in te verblijven, super sfeer, super ontbijt en super Spaanse lessen. Enige waar het hostel in zou mogen investeren zijn betere matrassen en meer wifipunten. Verder echt top!! A nice hostel with nice places to chill. Breakfast was very good. Don’t go here if you’re looking for a party hostel. This is a Decent hostel where a lot of people study spanish. But the hostel itself is quite old And needs an upgrade. No powerplugs with Every bed, Showers are either hot with no pressure or cold With a lot of pressure and matrasses need to be replaced. Kitchen is good but need Some more plates. The patio is Nice but cold in the evening. No inside common area which is warm. WiFi Works only outside. Volunteers where Nice and helpfull and give a Nice feeling the place. 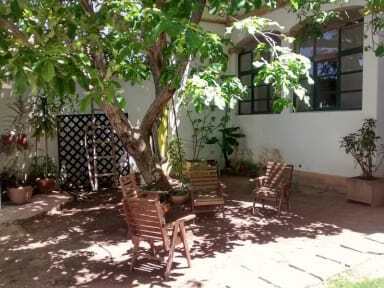 Nice hostel, with a beautiful private room and chill common areas. Breakfast is amazing! Wifi was okay. Location is good: close to the main attractions, but a quiet and safe street. The kitchen was understocked, crowded and often dirty. The bathrooms were always dirty. Also, as one shower was broken, there were only two working showers for the whole hostel. The toilets were disgusting during our whole stay (3 nights). The worst thing, by far, was the staff: rude, slow, and dishonest.